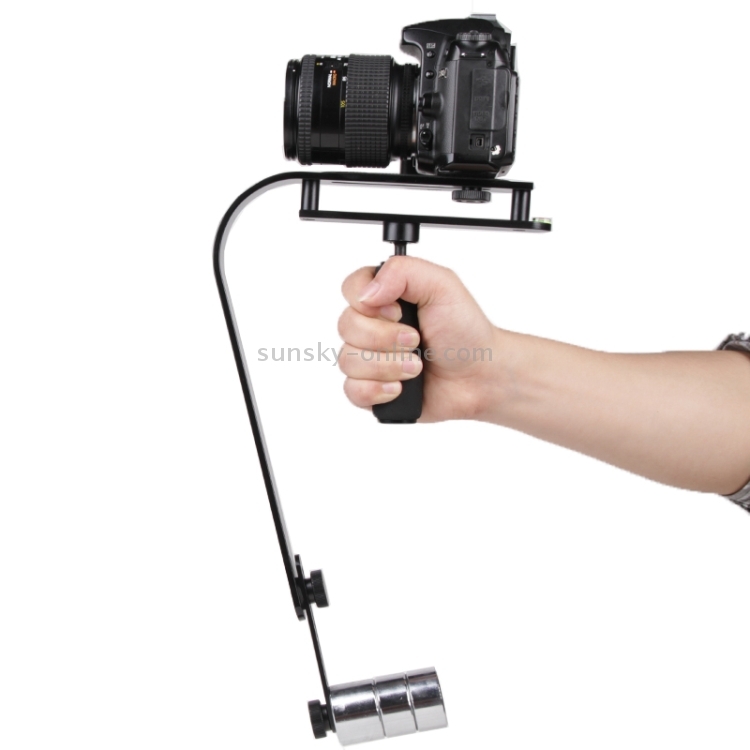 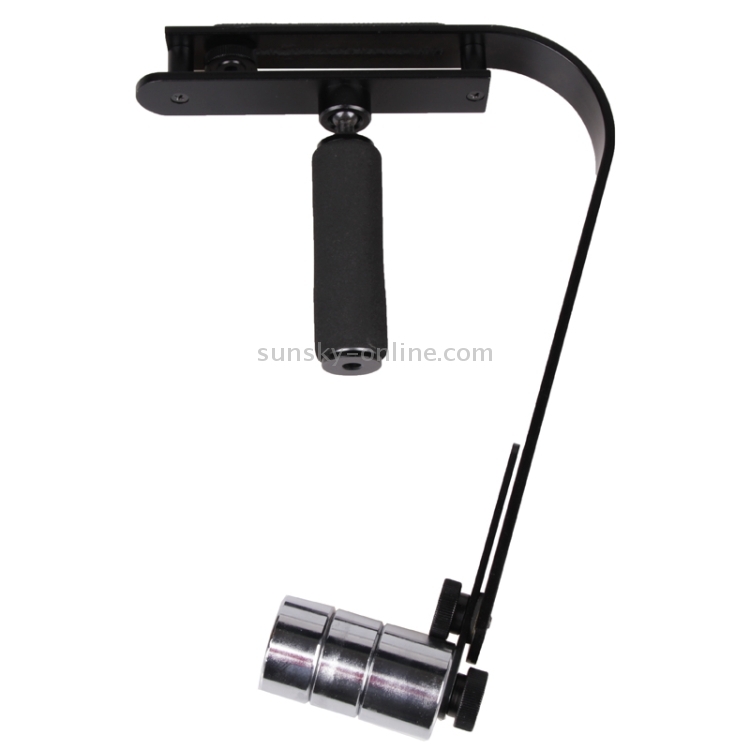 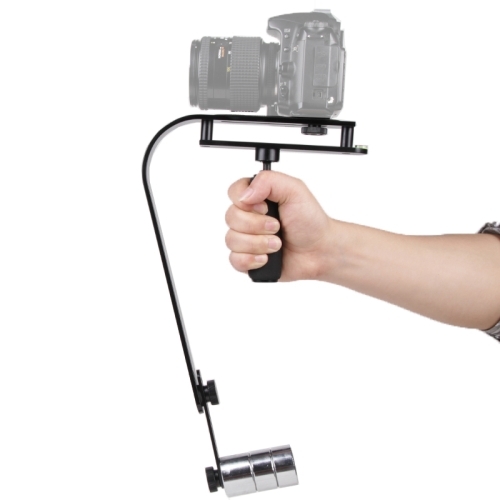 3) Description: A design for the video stabilizer, designed to reduce vibration during shooting, improve stability. 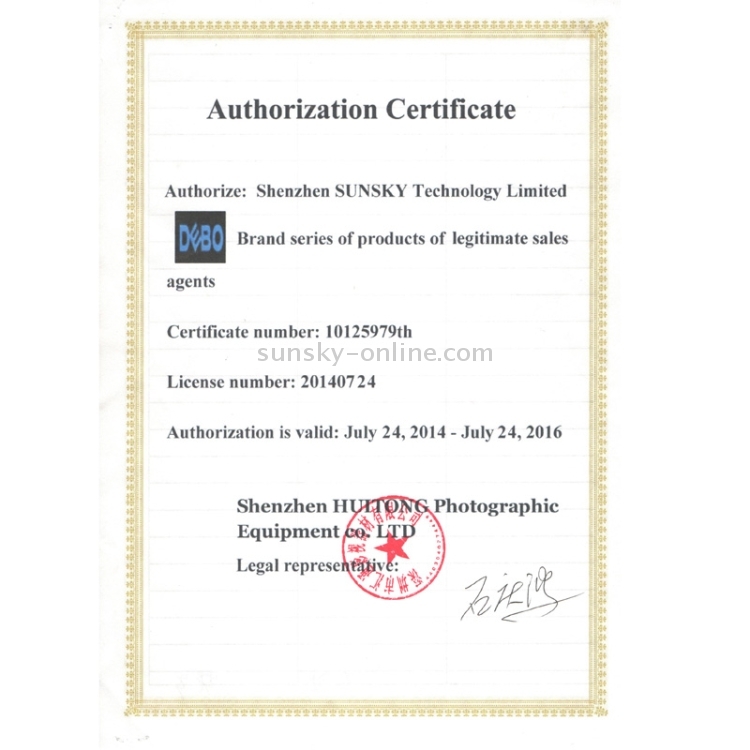 The main weight of around 1kg for digital cameras and compact SLR cameras. 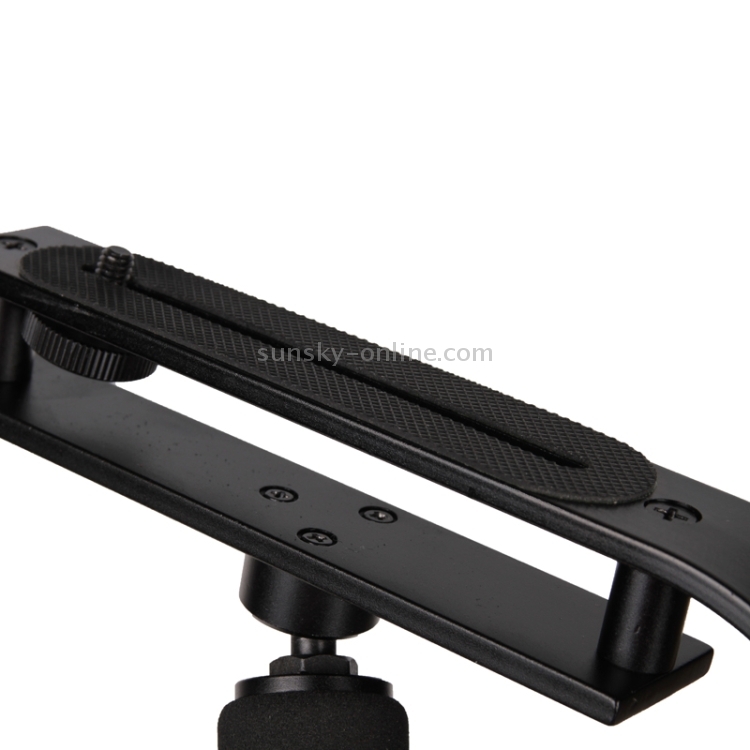 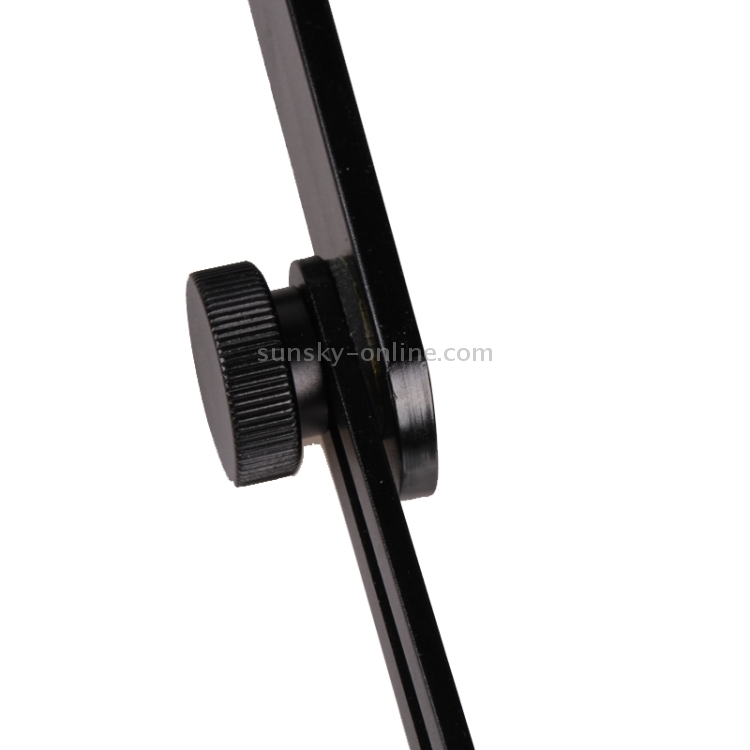 Aluminum alloy, with a comfortable foam grip and a smooth universal head and stainless steel balance weights, built-in spirit level, fixed table with cushion, all of these simple and practical design, so as to become a full-featured yet affordable stabilizer. 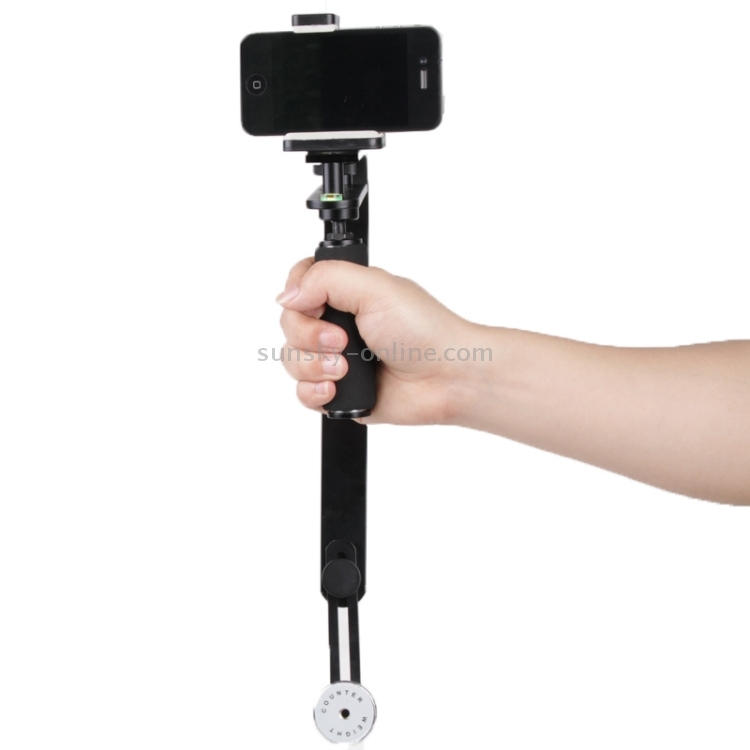 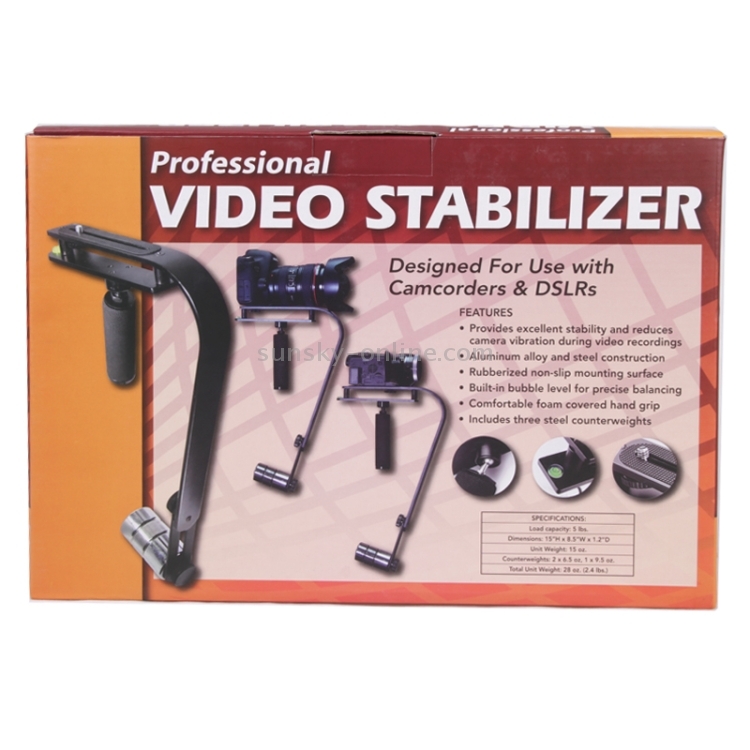 The stabilizer is currently abroad widely praised by the user.